Months ago I started thinking about the brand Woodland Papercuts. What its values are, its commodity, and of course its brand identity. The hamster wheel in my head really started spinning when I read this Branding article series by Three Fifteen Design. I have trouble with abstract notions, but Ravyn was so very clear about what branding is and what makes a brand excellent, she made it sound so simple. After exchanging several emails in November I hired Three Fifteen Design to work on my brand identity. The process is winding down, and I hope to reveal the new logo soon (if you've seen some of my promo shots from late 2011 then you've seen its roots). I learned a lot in this process, mainly that I am incapable of relinquishing control. Has this ever happened to you? I knew I couldn't do it on my own, but as soon as I delegated the task to another, I had to pour more and more of myself into it. You see the inspiration board above? Ravyn sent me one based on all the information I shared, and I in turn sat down to make an inspiration board of my own for four hours, until it was just right. I scare myself some times. 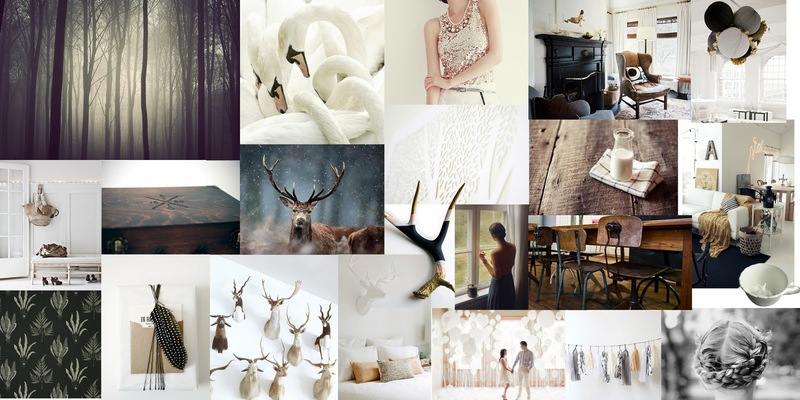 (She later edited it better into this inspiration board.) Ravyn is very patient with me, but I'm sure it's not easy having a client be so controlling. Sorry, Ravyn! Below you'll find one of the logo sketch pages I sent to 315 along the way. Honestly, I get stuck on the little details and the thousand different ways I can shape them, that I forgot about what I want the brand to be, and I didn't even look at the inspiration board. But this is interesting, how did I come from the inspiration board, to these logos (round no. 4)? Can I even see a connection between them all? I want to cover my eyes and just randomly pick one and be done with it. I wanted this to be easy, just draw one and be like 'Oh, that's it, no need to do more!' But my indecisiveness... That's why I'm so lucky to have Ravyn - when my energy wanes she sends me an email with a new round of logos and then I'm back in the fray!